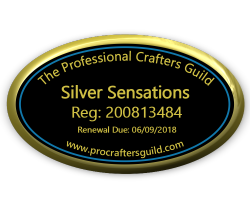 Silver Sensations is an individually owned small company based in Birmingham and is known for its own unique & limited edition handmade semi precious gemstones and Sterling Silver jewellery. I’m Lynne and I originally formed Silver Sensations because of my passion for making jewellery and the fact that I couldn’t always find exactly what I was looking for. Or maybe I’d find a design I wanted, but didn’t want those exact gemstones or wanted a different colour. Sometimes, it even just came down to the price. Hence Silver Sensations was born. This means that I’m able to take custom requests or alter most of my designs which are already available. 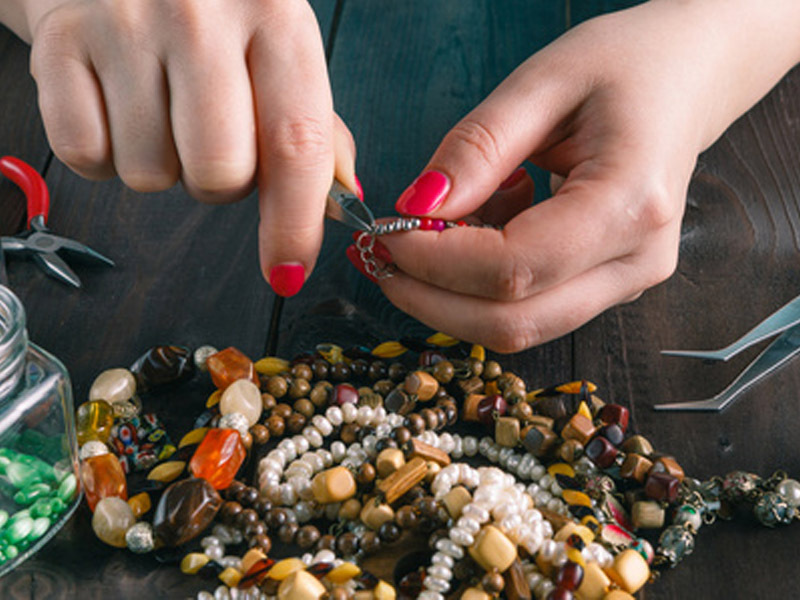 For custom designed pieces where we work together on your creation, I will never re-create that exact piece of jewellery again, unless it is a simple string of semi precious gemstones or pearls. So, putting it another way, I personally believe your design should be your own & never worn by anyone else. You also have my guarantee that I will not publish any of the images I send over to you, so your design will only be seen by people of your choice. I only use high quality Sterling Silver, pearls, crystals and genuine semi precious gemstones in my handmade jewellery. I include unusual shapes and those which may not easily be found on the High Street. I pride myself in creating high quality handmade jewellery, always with a high focus on attention to detail, at affordable prices for you to buy & enjoy yourself or to give as a gift. 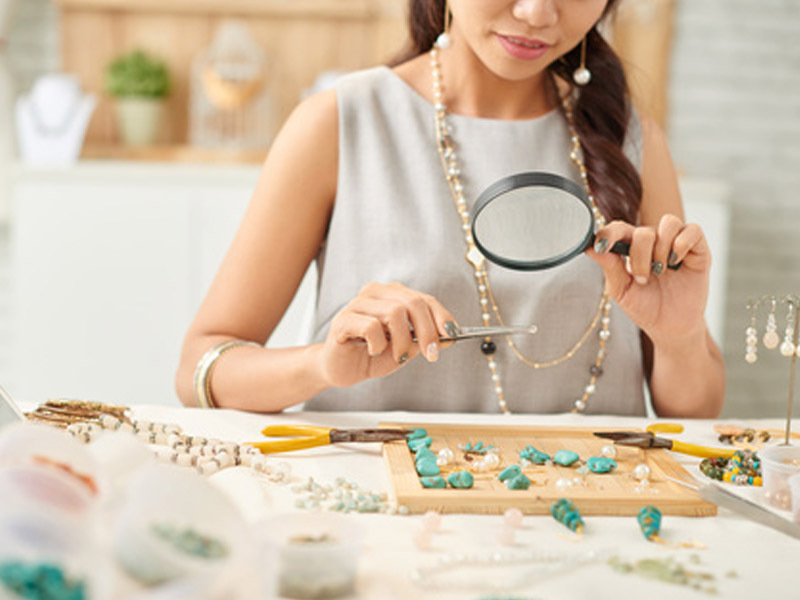 I meticulously check every single bead and piece of Sterling Silver that I buy to ensure that I am using only the highest quality materials to make your special piece of jewellery. 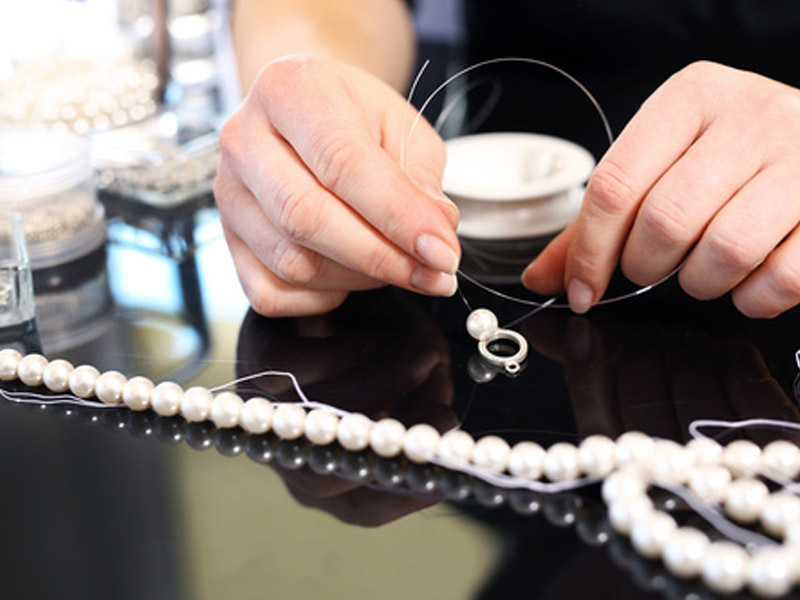 At Silver Sensations I specialise in the following areas Sterling Silver Necklaces Birmingham.